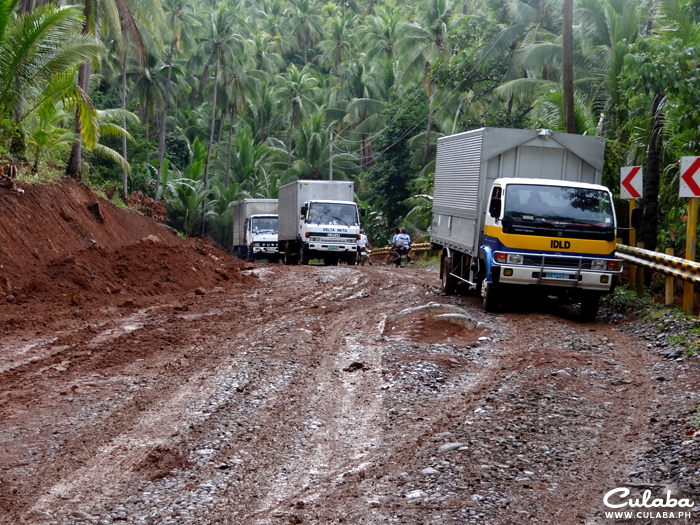 The Biliran circumferencial road between Caibiran to Culaba can get pretty muddy after a rainstorm, so can become very difficult for motorcycles. This road is under construction at the moment and is said to be completed in 2013. 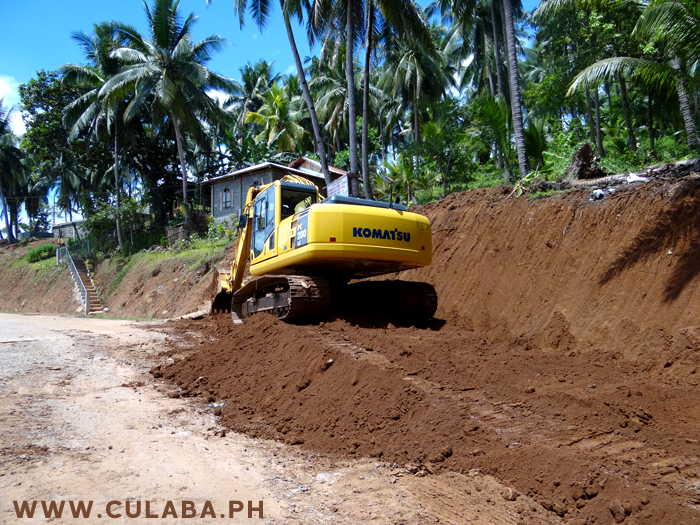 Construction work of the Biliran circumferencial road between Caibiran and Culaba in May 2012.